The spring brings life to your landscape and you should have your pond ready. 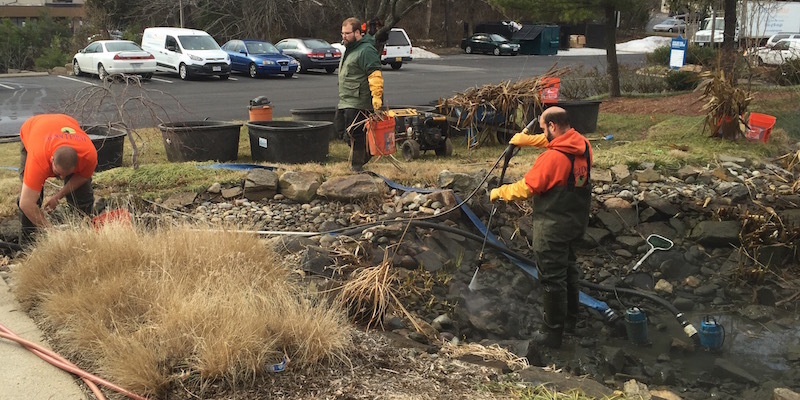 Our Spring Pond Cleanouts will ensure your pond is clean and ready for another season. Your fish are safely removed and our experienced cleaning crew will bring your pond back to life.